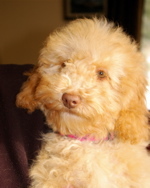 Australian Labradoodles are bred to have a non-shedding, allergy friendly coat. I have allergies as well as asthma. I know how strangely allergies behave and that there is nothing on this planet that won’t cause somebody to have an allergic reaction. Dogs and cats secrete fluids and shed dander that contains allergens for some people. These sensitive people should spend time with a multigenerational Australian Labradoodle or with a poodle to see if these dogs trigger their allergies. 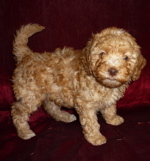 I have severe allergies and neither Australian Labradoodles nor poodles bother me. I am not sure what kind of research has been done in the field of allergies people and pets. I have read articles that declare all dogs are the same because of the dog dander but I know too many people who have benefited from a non-shedding dog to believe this is true. I am bothered by shedding dogs and non-shedding dogs do not trigger my allergies. 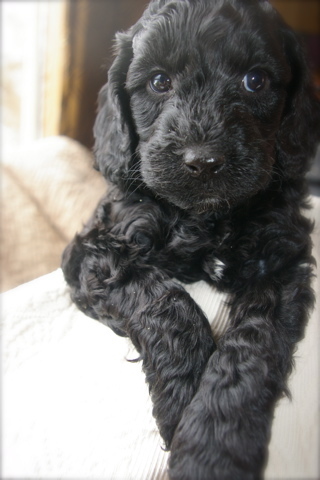 I have found many people in our puppy families have the same experience and are now living happily with their Doodle. 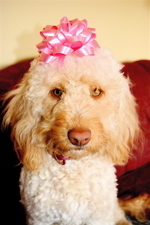 The Australian Labradoodle was bred to be a service dog that people with allergies could have in their home. They inherited their non-shedding, allergy friendly coat from the Poodle. 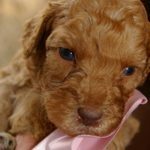 Before you tell the children you are getting a puppy go to a place where you can spend some time with well bred Australian Labradoodles or with Poodles. Make sure there are no other animals in the space or that the dogs don’t come from a family with other animals that cause you to have an allergic reaction. Cat dander can leap on to a dog and be transferred causing people sensitive to cats to have a reaction from the dog. Sometimes it is other allergens clinging to the dog’s coat that cause the trouble. 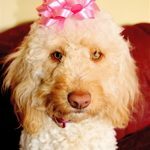 A Labradoodle with a coat kept short and clean is a better bet for allergy sufferers than a long coat. Liz, allergic Jean and oodles of doodles. You can pay a small amount of money to test the puppy you are interested in bringing home if you are not close enough to visit the puppy in person. For a small Veterinarian fee we can take the puppy to have a little fur and dander placed in a sterile vial. We can send this to you and you can take it to your allergist. 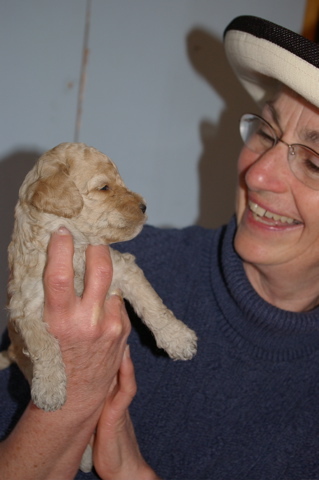 Will new puppy make you sneeze and swell? 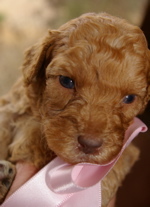 Visit dogs and puppies first to see if your allergies react, then allow yourself to fall in love. We do our best to breed a dog that allergy sufferers may have in their home and we have been very successful. 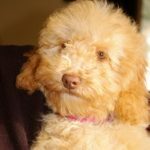 Unfortunately we cannot guarantee that a puppy will not cause you to suffer so we urge you to experiment with Labradoodles and Allergies before you decide on a puppy.